One day, at the end of a class session on Calvinism’s doctrine of God’s sovereignty, a student asked me a question I had put off considering. He asked: “If it was revealed to you in a way you couldn’t question or deny that the true God actually is as Calvinism says and rules as Calvinism affirms, would you still worship him?” I knew the only possible answer without a moment’s thought, even though I knew it would shock many people. I said no, that I would not because I could not. Such a God would be a moral monster. Roger Olson, Against Calvinism, 85. Speaking for myself, this reflects an asymmetry between my view of Arminianism and his view of Calvinism. If I thought the Arminian God was the true God, that wouldn’t be my reaction. Olson doesn’t think the Calvinist God is worshipful. Well, I don’t think the Arminian God is all that worshipful either. But not because I think the Arminian God is Satanic or monstrous. For one thing, he’s not impressive enough to even be diabolical. If I thought he were the true God, I’d be disappointed. He’d be a letdown. Compared to the Calvinist God, the Arminian God isn’t very godlike. In some ways he’s more like a benefactor who creates a scholarship fund for qualified recipients. Someone you appreciate having around. Someone who’s helpful. But all too human. A partner. The lyrics sound oh-so personal. Customized. As if Sinatra has one woman in mind. The love of his life. But in reality, he doesn’t have any particular woman in mind. The song is directed at every woman in the audience, every woman who will buy his record–whether one, few, or many. I guess it works as long as the female listener suspends belief. As long as she forgets that it didn’t have to be her. That it was never about her. She’s interchangeable with every other customer. Likewise, there’s that sink-or-swim dynamic to Arminianism. The Arminian God equips everyone. Gives everyone sufficient grace. Universal atonement. But then he sends them packing. Whether they survive or perish is ultimately up to them. They may have everything they need in the backpack, but they are on their own in the wilderness. Some make it out, others fall behind, lose their way, die of exposure. We’re loyal to those who are loyal to us. It’s hard to work up much affection or devotion for a God who’s that detached. Olson thinks the worst thing you can say about God is if he’s monstrous or devilish. That's what makes him unworthy of our worship. Speaking for myself, I think the worst thing you can say about God is if, after all the breathless anticipation, you finally meet him in heaven, only to discover that “God” is a pleasant mediocrity. Like Kirk asking, “What does God need with a spaceship”? If the Arminian God is unworthy of our worship, that's because he’s such a dud. The more you see, the less you get. I’m going to comment on some recent claims by Francis Beckwith. My reasoning, however, was extra-biblical. For it appealed to an authoritative leadership that has the power to recognize and certify books as canonical that were subsequently recognized as such by certain Fathers embedded in a tradition that, as a Protestant, I thought more authoritative than the tradition that certified what has come to be known as the Catholic canon. This latter tradition, rejected by Protestants, includes St. Augustine as well as the Council of Hippo (A.D. 393), the Third Council of Carthage (A.D. 397), the Fourth Council of Carthage (A.D. 419), and the Council of Florence (A.D. 1441). But if, according to my Protestant self, a Jewish council and a few Church Fathers are the grounds on which I am justified in saying what is the proper scope of the Old Testament canon, then what of New Testament canonicity? So, ironically, given my Protestant understanding of ecclesiology, the sort of authority and tradition that apparently provided me warrant to exclude the deuterocanonical books from Scripture – binding magisterial authority with historical continuity – is missing from the Church during the development of New Testament canonicity. The Catholic Church, on the other hand, maintains that this magisterial authority was in fact present in the early Church and thus gave its leadership the power to recognize and fix the New Testament canon. So, ironically, the Protestant case for a deuterocanonical-absent Old Testament canon depends on Catholic intuitions about a tradition of magisterial authority. I conceded the central point of Catholicism: the Church is logically prior to the Scriptures. That is, if the Church, until the Council of Florence’s ecumenical declaration in 1441, can live with a certain degree of ambiguity about the content of the Old Testament canon, that means that sola scriptura was never a fundamental principle of authentic Christianity. i) If the church is logically prior to the Bible, where does that leave Intertestamental Jews? ii) It’s quite possible to have a correct understanding of something without having that formalized in some official statement. For instance, if you grow up in a particular culture, you pick up many unwritten rules by process of osmosis. You don’t need to read an official rulebook to know what the rules are. Rather, that’s an unspoken cultural assumption which you share in common with fellow members of the same culture. Something you learn through observation and imitation. For instance, ancient Jews who attended the synagogue every Saturday, or went to Jerusalem on annual feast days, would acquire an informal knowledge of Jewish belief and practice. At the same time, the Scriptures set a standard against which to measure this acculturated understanding of the faith. iii) In Catholicism, until Trent, you had two competing traditions of the canon which coexisted–the Augustinian and the Hieronymian. What this means is that God enabled some Catholics to have a correct understanding of the canon while he also allowed other Catholics to fall into error concerning the canon. It’s not an all-or-nothing proposition, as if everyone has to get it right for anyone to get it right. The true canon was always available to pre-Tridentine Catholics. It’s not as if books were missing. iv) Beckwith defaults to ecclesiastical recognition of the canon, but that only pushes the issue back a step, for recognition of the magisterium is also a historical process. Moreover, many parties did not or do not recognize the claims of Rome. Therefore, if Beckwith needs the magisterium to back up the Bible, he also needs something to back up the magisterium. v) It’s also funny to see how oblivious he is to the parallel implications of his own position. Where was the church before Trent? If believers could get along all those years without the church defining the canon, then on that issue (among others) they were doing without the guidance of the church for 1500 years. Keep in mind, too, that the Tridentine canon is just a historical accident. An afterthought. If it hadn’t been for the Reformation, there’s no reason to think that even now the Roman church would have a formal canon of Scripture. So who needs the magisterium? The timing is so haphazard and belated. There are two aspects to Luther’s discovery of ‘the righteousness of God’. The first relates to the nature of this righteousness: Luther discovered a ‘wonderful new definition of righteousness’ which stood in diametrical opposition to human understandings of iustitia. The second relates to the mode by which this righteousness comes to the individual: man cannot perform good works which are capable of earning justification on a quid pro quo basis, but he can totally abase himself, and cry out to God for grace. This is one of those McGrath statements that has been picked out of his various works and used by Roman Catholics with some glee – recently as David Anders has McGrath lamenting “The Protestant understanding of the nature of justification thus represents a theological novum.” It is a novum because, after Augustine got it wrong, Luther was the first one to get it right. The “infallible” Roman church had gotten it wrong for a thousand years and counting. This may be a well-known to some readers, but I wanted to pass it along. Francis Beckwith has used the occasion of “Reformation Day” to put out his own account of the “canon” argument, entitled Reformation Day – and What Led Me To Back to Catholicism. But rather, we should think, he’s been misled, and now he’s trying to mislead others. One commenter chided him for having trotted out “the same tired old arguments” which “(if you studied this stuff in any detail) you would have to know better than to make these baldly partisan and misleading statements.” But the blind lead the blind, and some of them like it that way. He is wrong about this. The “council of Jamnia” was not when the canon was fixed. Jamnia was not even a council. It was a group of Rabbinical scholars. On the other hand, the Canon of the Old Testament was widely known and attested in the first century. Jesus in Luke 24:44 named “the law, the prophets and the writings”. This was Jesus citing a fixed canon of the Old Testament. These were precisely the 39 books of the Old Testament that we have today. And Josephus wrote in Contra Apionem of a fixed canon in his own day, which was not disputed. What you have here is a Canon of the Old Testament that was recognized in precisely the same way that Protestants say the New Testament was recognized. the central point of Catholicism: the Church is logically prior to the Scriptures. This is very clearly a false statement, based on the fact that the Old Testament Scriptures were already widely attested. Jesus recognized “a deuterocanonical-absent Old Testament canon” (Luke 24:44). There was no “magisterial authority” in the early church. That much is clear from the fact that an emperor had to call the first general council (Nicea), and an emperor, in fact, called each of the first seven councils. And aside from that, he is here equivocating on the word “church”. It is a gross assumption on his part to anachronistically read back today’s Roman “leadership” into the early church. In fact, the way that the Old Testament canon became “recognized” based on the authority of the prophets, or the lack thereof, is precisely the same way the New Testament writings were “recognized” and “received” as Scripture. There is very good evidence that Paul’s letters were collected and distributed during his own lifetime. Note that Peter recognized the collected writings of Paul as “Scriptures” (2 Peter 3:14-16). The “church” of the day had no “power to recognize and fix” the New Testament canon. The “church” “leadership” in the early centuries held in their hands a body of writings that came from the Apostles, and the only thing they could do was to recognize them as “authoritative”. Any questions about documents had more to do with “whether the Apostles wrote or authorized this or that document” rather than anything to do with saying “this is a fixed canon”. to concede an officially unsettled canon for Christianity’s first fifteen centuries seems to make the Catholic argument that sola scriptura was a sixteenth-century invention and, therefore, not an essential Christian doctrine. On the contrary, the Scriptures are the God-breathed Word of God, always recognized as such – there is nothing more essential than the Scriptures. The Jews recognized a prophet – or not – and the New Testament Christians, beginning with Jesus (Luke 24:44) recognized the Old Testament, and Peter (2 Peter 3:14-16) knew of “all of [Paul’s] letters” and recognized them as Scriptures. Nobody sat down and said, “we recognize a canon of 39 books”. They had a stack of books that were recognized as authoritative from a prophet, and when they added them all up, they came up with the number 39. It was the same thing with the New Testament. Also not true. Each book was “recognized” individually, and the “canon” is an artifact of, a result of that process. But the belief that the Bible consists only of sixty-six books is not a claim of Scripture, since one cannot find the list in it, but a claim about Scripture as a whole. That is, the whole has a property – i.e., “consisting of sixty-six books,” – that is not found in any of the parts. Not true. “66-ness” is not a property of the Scriptures, it is an artifact. Do Crosses at Catholic University Violate “Human Rights” of Muslims? In Exod 32, what does the golden calf represent? Yahweh? Heathen deities? The terminology is ambiguous. a) In one respect that might seem to denote Yahweh. After all, Yahweh was the one who delivered them from Egypt. b) But notice the consistent use of plural verbs, nouns, and pronouns to describe the divine referent (vv1,4,8,23). The actual wording is polytheistic. a) The golden calf stands for some heathen deity or pagan pantheon. b) The golden calf stands for Yahweh, but Yahweh assimilated to pagan iconography. A pagan depiction of the one true God. iii) Furthermore, they thought Yahweh had abandoned them (v1), so they might well be seeking the assistance of other gods to guide them in the journey ahead. The common thread is syncretism. Blurring the boundaries. Indifference to which God or gods delivered them. Any one will do. The more the merrier. The reason the terminology is confusing is because their theology is confused. * Full disclosure: I received this book from Zondervan as a review copy. 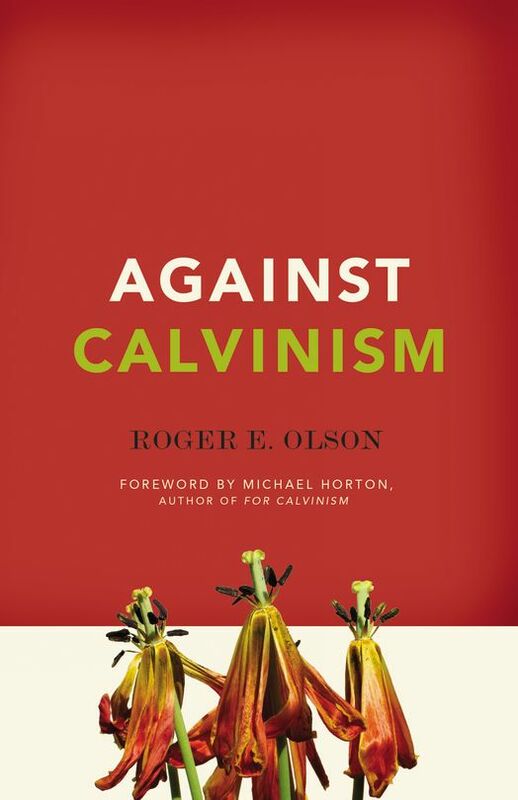 Roger Olson's Against Calvinism is the companion volume to Michael Horton's For Calvinism (both published by Zondervan). The two are the latest entries in the long-standing Calvinist/Arminian debate, and the debate shows no signs of resolution or letting up—despite the efforts of these recent salvos. I believe Olson's case is particularly weak and I will give my reasons for the assessment below. But first, I will offer readers a short and standard review of Olson's book. That is, I will present Olson's aims, summarize the content of the book and briefly summarize the chapters. I will make some brief and general criticisms, but I will save the strongest and most in-depth for part two. The Occupy Wall Street volunteer kitchen staff launched a “counter” revolution yesterday -- because they’re angry about working 18-hour days to provide food for “professional homeless” people and ex-cons masquerading as protesters. For three days beginning tomorrow, the cooks will serve only brown rice and other spartan grub instead of the usual menu of organic chicken and vegetables, spaghetti bolognese, and roasted beet and sheep’s-milk-cheese salad….. But Craig is not just a figure of fun. He has a dark side, and that is putting it kindly. Most churchmen these days wisely disown the horrific genocides ordered by the God of the Old Testament. Do not plead that I have taken these revolting words out of context. What context could possibly justify them? Would you shake hands with a man who could write stuff like that? Would you share a platform with him? I wouldn't, and I won't. Even if I were not engaged to be in London on the day in question, I would be proud to leave that chair in Oxford eloquently empty. And if any of my colleagues find themselves browbeaten or inveigled into a debate with this deplorable apologist for genocide, my advice to them would be to stand up, read aloud Craig's words as quoted above, then walk out and leave him talking not just to an empty chair but, one would hope, to a rapidly emptying hall as well. But doesn't a truly scientific, mechanistic view of the nervous system make nonsense of the very idea of responsibility, whether diminished or not? Any crime, however heinous, is in principle to be blamed on antecedent conditions acting through the accused's physiology, heredity and environment. Don't judicial hearings to decide questions of blame or diminished responsibility make as little sense for a faulty man as for a Fawlty car? Why is it that we humans find it almost impossible to accept such conclusions? Why do we vent such visceral hatred on child murderers, or on thuggish vandals, when we should simply regard them as faulty units that need fixing or replacing? Presumably because mental constructs like blame and responsibility, indeed evil and good, are built into our brains by millennia of Darwinian evolution. Assigning blame and responsibility is an aspect of the useful fiction of intentional agents that we construct in our brains as a means of short-cutting a truer analysis of what is going on in the world in which we have to live. My dangerous idea is that we shall eventually grow out of all this and even learn to laugh at it, just as we laugh at Basil Fawlty when he beats his car. But I fear it is unlikely that I shall ever reach that level of enlightenment. What does the second commandment forbid? What does the 2nd commandment forbid? On the Puritan view, it forbids manmade images of Yahweh. But that’s not clear from the actual wording of the text, or syntactical relationship between the 1st and 2nd commandments. What’s the intended referent of idols or images in the 2nd commandment? Which “God” is represented? Whose image is proscribed? Puritans think it refers to Yahweh. That’s what is prohibited. Maybe so. But if we consider the flow of the passage, coming right on the heels of the 1st commandment, that isn’t obvious. The 1st commandment forbids the worship of deities other than Yahweh. So it would be logical if the 2nd commandment continues that train of thought. The 2nd commandment might be epexegetical, amplifying the 1st commandment, viz. Or it might distinguish between mediate and immediate pagan worship. Don’t worship heathen deities directly–or indirectly via physical representations of heathen deities. This interpretation also makes sense of the divine jealousy motif. Yahweh is “jealous” of worship directed at other “gods.” That’s the nature of “jealousy.” It’s directed at a third-party. It makes less sense to say Yahweh is jealous of images of himself. For that still takes Yahweh as the object of religious devotion. Of course, it might be objectionable on other grounds, but the jealousy motif makes less sense on the Puritan view. The first reason is that when we are making a choice our faces are always turned toward the future, toward the consequences that one act or the other will bring us, never toward the past with its possible sources of constraint. Hence these sources are not noticed. Hence we remain unaware that we are under constraint at all. Hence we feel free from such constraint. The case is almost as simple as that. When you consider buying a new typewriter your thought is fixed on the pleasure and advantage you would gain from it, or the drain it would make on your budget. You are not delving into the causes that led to your taking pleasure in the prospect of owning a typewriter or to your having a complex about expenditure. You are too much preoccupied with the ends to which the choice would be a means to give any attention to the causes of which your choice may be an effect. But that is no reason for thinking that if you did preoccupy yourself with these causes you would not find them at work. You may remember that Sir Francis Galton was so much impressed with this possibility that for some time he kept account in a notebook of the occasions on which he made important choices with a full measure of this feeling of freedom; then shortly after each choice he turned his eye backward in search of constraints that might have been acting on him stealthily. He found it so easy to bring such constraining factors to light that he surrendered to the determinist view (p21). “By late 1514 Luther had arrived at the fundamental insight that the proper disposition for justification is humility” – Alister McGrath, Alister E. McGrath, “Luther’s Theology of the Cross,” Oxford, UK: and Malden, MA: Blackwell Publishers, ©1985, 1990, pg 153. In the decades immediately prior to what became known as “Luther’s breakthrough”, late medieval theology had arrived at the understanding that “the basic condition which man was required to meet in order to be justified was by doing quod in se est” (“doing their best”). “The righteousness of God was understood to refer to the equity within the context of the covenant that God made with man ‘which defines God’s manner of dealing with humanity’”. McGrath’s work is an effort both to provide an overview of the “backgrounds” of medieval theology, and an effort to understand Luther’s thought at various times, based on his various lecture notes and publications. It is an effort to understand “what he knew and when he knew it”. That’s a complicated effort, but my understanding is that McGrath’s scholarship over the years, on this topic, is both thorough and precise. Luther here reproduces key aspects of [a late medieval] understanding of iustitia Dei (“the righteousness of God”): iustitia is understood to be based upon divine equity, which looks solely to the merits of humans in determining their reward within the framework established by the covenant. The doctors of the church rightly teach that, when people do their best (quod in se est), God infallibly gives grace (Alister McGrath, Iustitia Dei: A History of the Christian Doctrine of Justification, Third edition, Cambridge, UK: Cambridge University Press, ©2005, pg 88). This late medieval teaching on justification (especially Gabriel Biel and the via moderna school of theology) was genuinely a Pelagian teaching that was widely accepted within the Church of the day. No, Trent did not define it this way either, but there was no definition at all, and such teaching was rampant within the Church of that day. Luther’s theological breakthrough is intimately connected with his discovery of a new meaning of ‘the righteousness of God’, and it is important to appreciate that his earlier works are characterized by the teaching of the via moderna upon this matter. Luther’s later view that anyone attempting to do quod in se est sinned mortally remains notionally within this framework, while ultimately subverting its theological plausibility. The origins of Luther’s concept of the ‘alien righteousness of Christ’ must be considered to lie in his holistic understanding of man. In particular, Luther argues that ‘flesh’ (caro) and ‘spirit’ (spiritus) are not to be regarded as man’s lower and higher faculties respectively, but rather as descriptions of the whole person considered under different aspects. Thus caro is not man’s lower nature, but the entire man (totus homo), considered as turned in upon itself (homo incurvatus in se) in its irrepressible egoism and its radical alienation from God. Similarly, spiritus is to be understood as referring to the entire man in his openness to God and the divine promises. For Luther, justification relates to the entire person, both flesh and spirit: although the individual comes to put his trust in the promises of God, he nevertheless remains a sinner. Thus the totus homo is iustus et peccator simul – a sinner inwardly, and yet righteous in the sight of God….The believer is righteous coram Deo [before God], even though this righteousness cannot be detected empirically: indeed, those whose righteousness can be detected empirically are righteous coram homnibus [before man] and yet unrighteousness coram Deo – the hypocrites. The Christian is a sinner in re, and yet righteous in spe: his righteousness is hidden, known only to God. As the totus homo cannot be partially righteous coram Deo, his righteousness must be alien and extrinsic to him – it is a righteousness which is in no sense part of his person, or which can in any way be said to belong to him. It is this consideration which appears to underlie the concept of iustia Christi aliena…. Extrinsically, the believer is righteous, through the alien righteousness of Christ; intrinsically, he is – and will remain – a sinner. This concept of justifying righteousness is, of course, totally different from that of St. Augustine, as Luther himself fully appreciates. This element of Luther’s thought would be developed by Melanchthon into a doctrine of forensic justification, which would become normative for Protestant understandings of justification. Thus, McGrath concludes this chapter on “The Righteousness of God”, “Luther’s insight into the true nature of the ‘righteousness of God’ represents far more than a mere terminological clarification: latent within it is a new concept of God. Who is this God who deals thus with man? Luther’s answer to this question, as it developed over the years 1513-1519, can be summarized in one of his most daring phrases: the God who deals with sinful man in this astonishing way is none other than the ‘crudified and hidden God’ (Deus crucifixus et absconditus) – the God of the theologia crucis. How Luther developed his fundamental insight into the true nature of his ‘righteousness of God’ into the theologia crucis, with all that this entails, is the subject of the following chapter (pg 147). For anyone interested in the development of Luther’s thought, especially regarding Justification and “the alien righteousness of Christ”, Scott Clark of Westminster Seminary, California, has produced an article, Iustitia Imputata Christi, which goes into quite a bit of detail. Peter Enns has favored us with a new diagram of how the ancients viewed the world. i) Evidently, the ancients thought God’s dwelling (picture of a temple) was made of Styrofoam. That way it could float on top of the waters above the firmament. Or maybe it's supported by pontoons. ii) Of course, every time it rained, the divine dwelling would sink a little lower. Since a flat floor can’t rest on a round dome, it would eventually tip over to one side or the other. Hopefully God knows how to swim when his dwelling place is submerged. ii) Evidently, the ancients thought the earth rested on Styrofoam pylons. We seen them supporting the earth, but nothing is supporting them. Just water underneath. Same thing with the "foundations" of the firmament. iii) Evidently, ancient mariners had experience banging into the solid firmament on the horizon. iv) The heavens are a pocket of air within the half-dome of the firmament. Unfortunately, the diagram fails to explain what prevents the empty space from filling up with water from below. There’s no barrier to keep the water above the firmament from equalizing. You’d think Mesopotamian engineers, with their floodworks, could devise a more efficient design. I’ve covered much the same ground in my response to Dale Tuggy, so I’ll skip over some of Waldron’s prooftexts. Who’s Tampering with the Trinity? That is the name of a book that is perhaps the most recent installment of a major debate going on among “evangelicals” on the subject of the Trinity. The subtitle of the book identifies the debate in question: An Assessment of the Subordination Debate. In this book Millard J. Erickson attempts an even-handed evaluation of the debate over the Trinity as it relates to what is called the eternal subordination of the Son. In case you are new to this debate it is intimately related to the ongoing debate between “egalitarians” and “complementarians” on the relation of men and women in the home and in the church. I think both sides make a mistake when they try to ground their respective positions in the immanent Trinity. As finite, contingent creatures, certain dependencies and asymmetries are inevitable in human social life. That’s not something we can properly extrapolate to the inner life of the Godhead. That’s seminal unitarianism. And it doesn’t occur to Waldron that the monarchy of the Father paved the way for full-blown unitarianism during the English Enlightenment. As long as the Roman church had temporal authority, it could forcibly contain the internal tensions in the Nicene compromise, but once the Roman church began to lose its grip, the incipient unitarianism inherent in Nicene subordination (i.e. the monarchy of the Father) could not be artificially restrained. Calvin represents a midcourse correction. And that’s been reinforced by subsequent theologians like Warfield, Helm, Murray, and Frame. If these kinds of questions and concerns come to us when we really think about what we are confessing in the Nicene Creed, it should make us wonder if we have really understood and whether we entirely hold the historic Trinitarian creed. So what are we missing? I agree. But that cuts both ways. Maybe the Nicene creed is overdue for revision. We are missing, first of all, that the creed is squarely biblical. In a number of important passages when the persons of the Trinity are being delineated the Father is given the personal name, God. I think his exegesis of John’s prologue is obviously flawed. “God” is a synonym for the Father. A shorthand expression. The point is not to distinguish the Father as distinctively God, but to distinguish the Father from the Son, while affirming the deity of both parties. In Jn 1:1-2,18, there’s a deliberate interplay between “God” as a proper noun for the Father, and “God” as a common noun for the Father and Son alike. That’s a cause/effect relation. A Creator/creature relation. Although he affirms that the Spirit proceeds from the Father and the Son, Augustine offers an important qualification. He notes that John 15:26 does not say, ‘whom the Father will send from me,’ but rather ‘whom I will send from the Father.’ By this, Christ ‘indicated that the source (principium) of all godhead (divinitatis), or if you prefer it, of all deity (deitatis), is the Father. So the Spirit who proceeds from the Father and the Son is traced back, on both counts, to him of whom the Son is born’ (De trin. V.29, 174). Thus, although Augustine clearly speaks of Father, Son, and Holy Spirit as one substance, he also affirms that the source and origin of deity (principium deitatis) is the Father. That’s the locus classicus for the eternal procession of the Spirit. But in context, it has reference to the economic Trinity, not the immanent Trinity. The Lord Jesus Christ is “the only-begotten Son of God, begotten of the Father.” This affirms that there is an organic relationship between God the Father and God the Son similar to that of an earthly father-son relationship. Of course, it is not that Scripture and the Nicene Creed borrow the human father-son relationship after the fact to illustrate this Trinitarian relationship. It is rather that the human father-son relationship was created to illustrate this divine relationship in the Trinity. As with all human analogies for the divine, there are limits beyond which this analogy must not be taken. I will mention one of them below. Yet the Nicene Creed stresses that this analogy holds with regard to the point of begotten-ness. The Son is “begotten” of the Father. By parity of logic, should we also say the earthly husband-wife, mother-son, mother-daughter, and father-daughter relationships were created to illustrate the inner life of the Godhead? Quoting the Nicene creed does nothing to logically harmonize its claims. If the Son and the Spirit have their source of origin in the Father, then that makes them creatures. They may be eternal creatures, eternally caused, but they remain creatures all the same. The fact that the Nicene creed denies that implication does nothing to invalidate that implication. A denial is a not a disproof. It tells you something about the intentions of the Nicene Fathers. But a verbal stipulation can’t prevent the premise from entailing the conclusion. Another natural objection to the doctrine of eternal generation which occurs in the minds of many is that this doctrine must mean that the Lord Jesus is not truly, really, and in the highest sense God. But if, by Waldron’s own admission, “there is some distinct sense that we are to identify the Father as God” or “the God,” then by converse reasoning, there is some distinct sense in which the Son and the Spirit are not God or “the” God. If, likewise, the Son and Spirit derive from the Father, then the Father is “higher” in the chain-of-being than the Son and the Spirit. The fourth problem with this rumor is that it confuses two very different kinds of subordination. To put this another way, those who foster this rumor assume that there are only two kinds of subordination discussed in relation to the Trinity, when actually there are three. All Christians, including Erickson and the Egalitarians, believe that there is subordination in the economy of redemption. We may call this economic subordination. Their mistake is that they think there is only one other kind of subordination—subordination of essence or essential subordination. While they correctly see this kind of subordination to be wrong and false, they do not realize that this is not the kind of subordination implied in the Nicene Creed. The Nicene Creed actually teaches a third kind of subordination. It is neither economic nor essential subordination. If the Son and Spirit originate from the Father, then that’s a metaphysical asymmetry. The most obvious evidence for the doctrine of the eternal generation of the Son is the biblical assertions that (1) the Son is begotten of the Father and (2) He is the only begotten Son of God. In the modern era difficulties have been raised with both these apparent supports for eternal generation. As to # 1, let me say this. Psalm 2:7 asserts, “I will surely tell of the decree of the LORD: He said to Me, ‘You are My Son, Today I have begotten You.’” This verse is quoted a number of times in the New Testament (Acts 13:3; Hebrews 1:5; 5:5). Modern scholarship has noted that this language speaks of the enthronement of the Son of David as the King of Israel and is applied in the New Testament to the resurrection of Christ. It has concluded from this that there is no reference in it to a so-called eternal generation of the Son. While I am of the opinion that the historical sonship of Christ actually is intended to reflect and incarnate His eternal sonship, I grant that these verses are not clear proofs by themselves of eternal generation. However, this should alert us to the fact that Scripture is using idiomatic categories. Monogeneis is used 23 times in the LXX and NT. In 19 of those occurrences the idea of begetting is clearly suggested by the context. It is used with son, daughter, and father. The other four occurrences are figurative and cannot be normative for the meaning of the word. The translation of the word merely as unique or only entirely loses the filial relationship it suggests. The word is never used and would never be used of an only uncle, aunt, brother, or sister, because it implies a unique relationship with one’s father. But in that case, only-begottenness doesn’t imply the (eternal) generation of the Son, for both sons and daughters are begotten. For that matter, most fathers are begotten. Except for Adam, every father is someone’s son. So we need to take into account the limitations of the metaphor. Another important evidence of eternal generation is the eternal sonship of Christ. The Scriptures clearly teach that the Christ was the Son of God before He came into the world and when He came into the world (John 3:16, 3:17; 10:36; Romans 1:3, 4; 8:3; Gal. 4:4; 1 John 4:9, 10, 14). Son is also the name chosen by the author of the Hebrews to designate the Son when He is speaking of His divine glory (Hebrews 1:2, 5, 8; 5:8; 7:3, 28). So that the point is not missed, a few of these references deserve a closer look. i) Waldron is tacitly assuming that “sonship” language is synonymous with “generation” language. But that’s naïve. We’re dealing with idiomatic categories. You can’t infer one idiom from another. Both categories can have different connotations, different literary allusions. For instance, you have to consider what OT texts lie behind the respective categories. Each category may be part of a separate literary chain or theological motif, with its own canonical history. Two independent streams that eventually converge in the NT. For instance, Waldron doesn’t consider the possibility that the “only-begotten” metaphor is intended to evoke associations with primogeniture. Cf. BDAG 658a(2). The rights of the firstborn. That is then applied figuratively to Christ as the royal heir. In that case, the point of the metaphor is not derivation, but prerogatives. ii) Likewise, it’s possible to affirm the eternal sonship of Christ, but deny the eternal generation of Christ. That might seem arbitrary until we remember that these are idiomatic categories with distinct literary antecedents as well as different connotations. The evidence is so clear that Christ is called the Son of God prior to His incarnation and resurrection that some frankly admit this. They, however, empty eternal sonship of much of its significance by the notion that this sonship only asserts the equality of nature between the Son and the Father. It is, of course, true that it does imply this as John 5:18 suggests when it says that He called “God His own Father, making Himself equal with God.” What is not so clear is that this is all that being God’s eternal Son implies. In what other contexts would anyone conceive the really peculiar notion that sonship means only equality of nature? i) One could counter that Waldron empties eternal sonship of much of its significance by denying the coequality of Father and Son. ii) Incidentally, there’s a more straightforward argument for eternal sonship. If God is eternal, and the NT sometimes (indeed, frequently) uses “son of God” as a divine title for Christ, then combining those two propositions will yield the eternal sonship of Christ. The opponents of eternal sonship may convince themselves that they have refuted it by offering several plausible reasons why Christ is called the Son of God before His incarnation which do not require that He is eternally generated by the Father. The problem with their argumentation is that it entirely forgets or neglects many related aspects of the biblical data. One such piece of data is the other name given to the Son of God before the creation of the world. According to John 1:1-3 before the creation of the world He is the Word of God. i) In context, the “Word” (or Logos) seems to be an economic title for the Son in his creative role. ii) In addition, if “sonship” is a divine title, then that’s indexed to the immanent Trinity. By contrast, creatorship is a contingent relation, not a necessary relation. God is free to create or refrain from creating. So that’s indexed to the economic Trinity rather than the immanent Trinity. It’s not essential to God that he be the Creator. But is his bark worse than his bite?